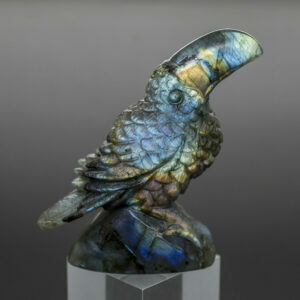 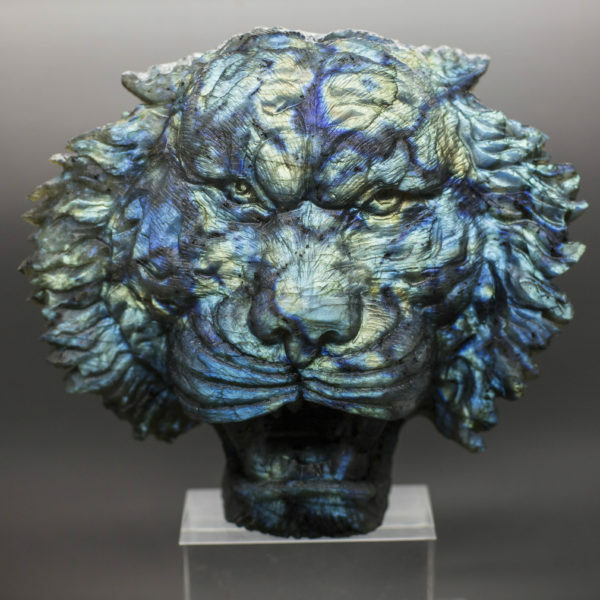 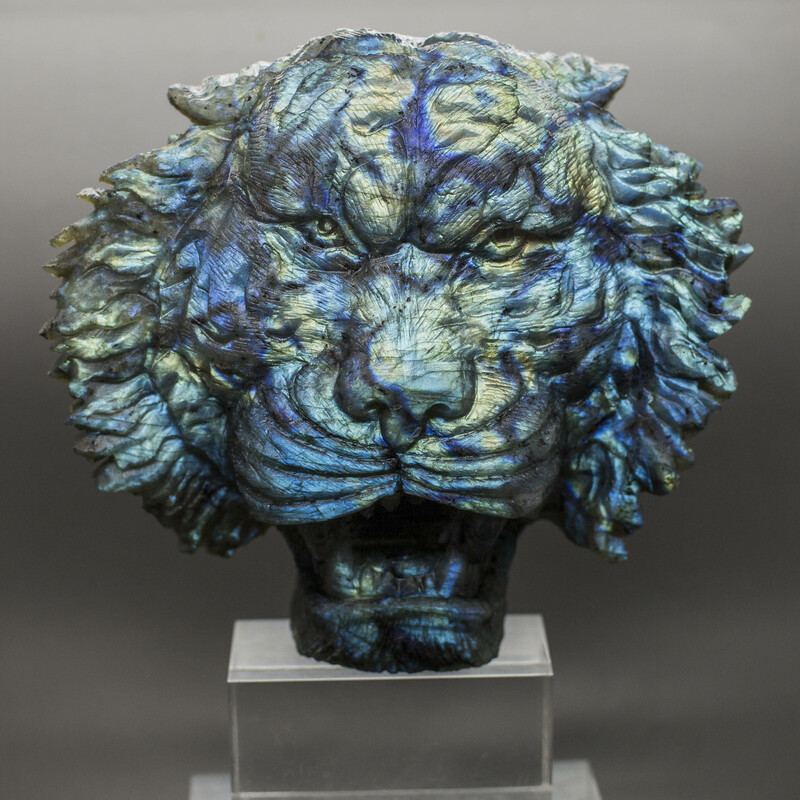 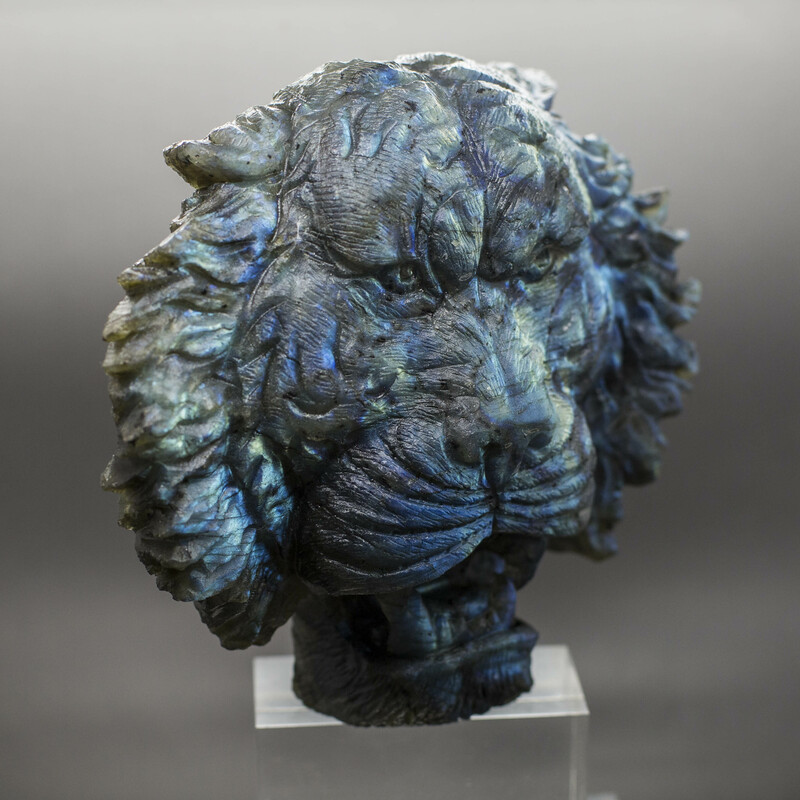 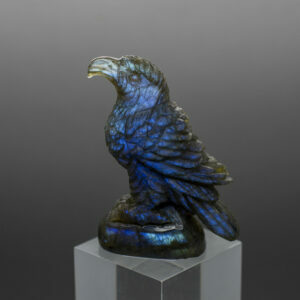 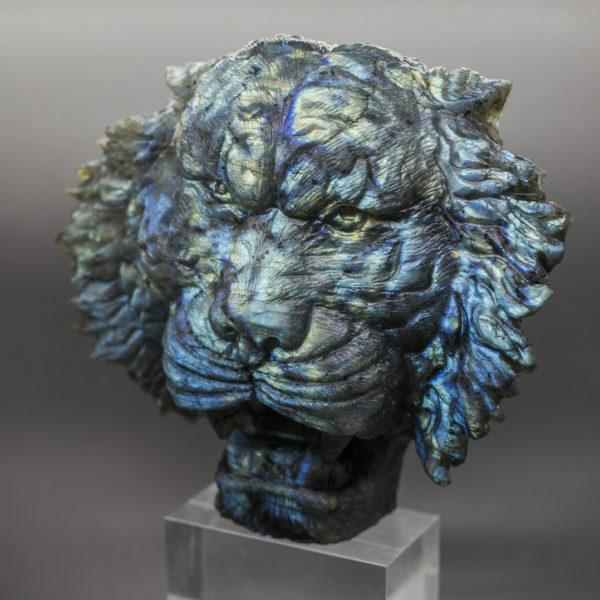 Labradorite carved Tiger Head Exceptional colour and carving, there is a drilled hole in the back so can be carefully hung if desired, however its best displayed standing on its base. 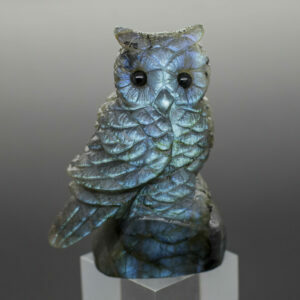 Use in meditation, for dream recall, or for personal growth and healing. Is said to represent the ‘temple of the stars’, to access ancient wisdom and knowledge. 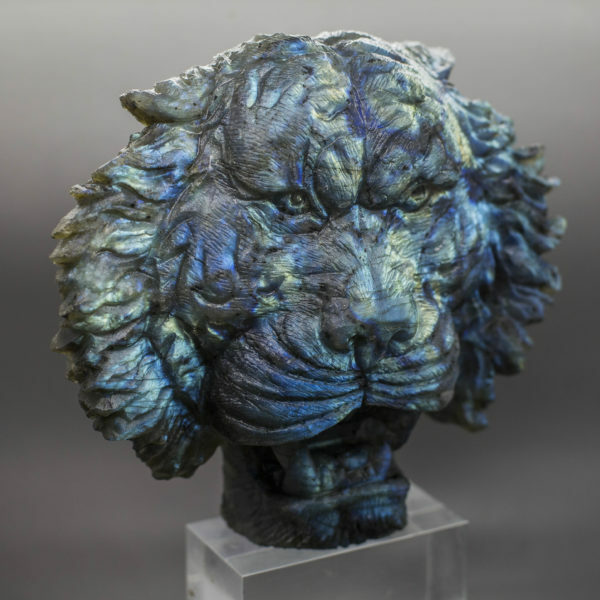 To integrate Spiritual guidance and inspiration into daily life.Helps one transcend the sense of separateness; dissolving personal boundaries and aligning us with the One Divine Source. 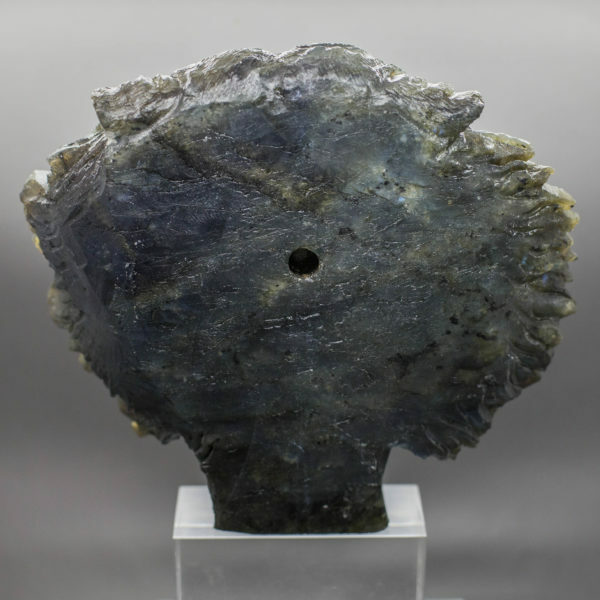 In this way perspective can be found, helping to dissolve emotions which may be overwhelming, of stagnating, those feeling of being ’emotionally flat’. 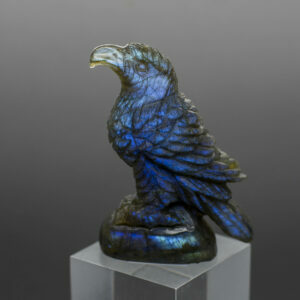 Deepens meditation and helps one’s connection to intuition, discernment, inspiration and imagination.